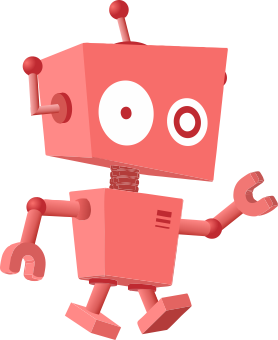 Size of this PNG preview of this SVG file: 800 × 553 pixels. Other resolution: 320 × 221 pixels. 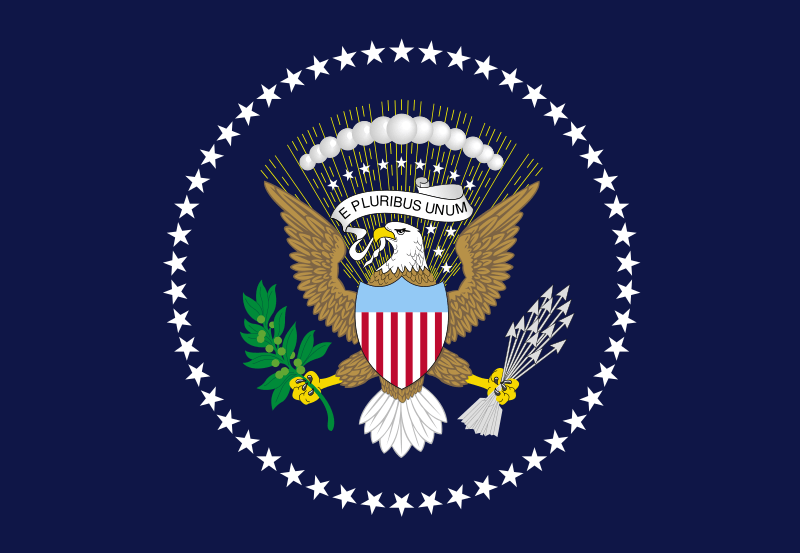 Description: U.S. Presidential flag, 1960-present (not usually called a "standard" in official U.S. government terminology). 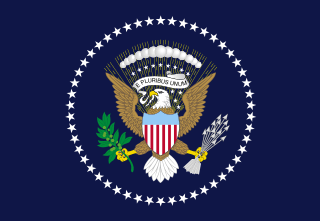 It is defined in Executive Order 10860.
Credit: Modified by Zscout370 from the public domain file en::Image:Seal Of The President Of The Unites States Of America.svg. Originally from en.wikipedia; description page is/was here.